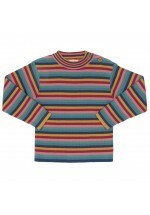 A special rainbow stripe makes this little knitted rib jumper stand out from the crowd. 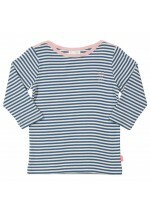 It offers a ..
Our shoreline t-shirt with it's simple stripes is a perfect t-shirt for those cooler days. 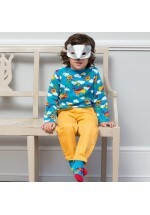 With thre..
We love our prints at Kite and this special kitty design is no exception. 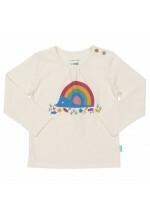 Made in a frill tunic styl..
A bright and fun design which showcases our wonderful rainbow hedgehog design. 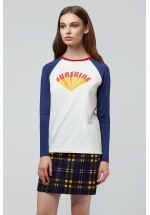 Made from slub jersey..
Superhero t-shirt We love colour and our superhero print certainly delivers lots of it. 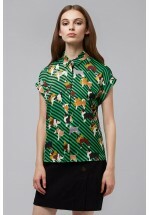 Creat..
Show some puppy love with our quirky pooch print Abinaya. 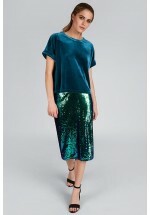 This green and black striped shirt feature..
LOUCHE PAOLINE GROWN ON SLEEVE BUTTON BLOUSE. Made with 100% polyester,machine washable. ..
Christmas in Paris! This fun red and white striped breton top features an Eiffel Tower 'Christmas tr..
Say hello to Spring with the Louche Soline floral top. The delicate floral print is perfect for the ..
We have injected a bit of joy into the classic baseball tee with our super soft Sunshine design. The.. The romantic Louche Theodora blouse in blush pink is the perfect piece to add a touch of femininity .. Pretty butterfly-print top with 3/4 sleeve and contrast slim to the neckline. 67% polyester.. Printed shell top with keyhole opening to the back and split at the helm. 100% polyester. &nbs..